Apple has revealed that it’s set to move its UK headquarters to London’s iconic Battersea Power Station. The Grade II listed building, which has stood derelict for the past 33 years, is currently undergoing a multibillion-pound restoration and is expected to open its doors in 2021. The company’s “new London campus” will take up six floors — 500,000 sq. ft. — of the central boiler room and will have enough space to hold 3,000 people. In the beginning, though, it will be home to just 1,400 employees who previously worked at Apple’s eight other sites in the city. The remaining space in the campus should be able to facilitate an additional 1,600 people. But instead of going on a hiring spree to fill the empty space, Apple will keep it free for future projects in the region that require additional members of staff. 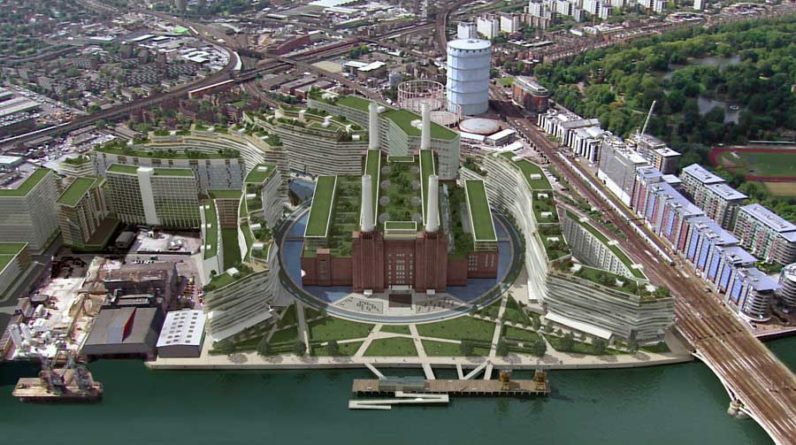 Unlike most its other central locations, the 42-acre Battersea Power Station isn’t dedicated solely to Apple. Various other residential, office and retail establishments are planned for the area. Although, the firm is believed to have the largest plot, which occupies around 40% of the available office space in the boiler room. It’s important to note, however, that Apple’s new London hub won’t replace its main European headquarters in Cork, Ireland, where it currently employs over 6,000 people. This latest development will simply function alongside it, providing a place for all employees in the city to work together.